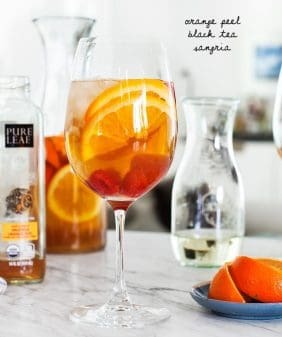 A fun, summery, creative way to serve iced tea. Freeze herbs, fruits, citrus, and cucumbers (whatever you want, really) inside ice cubes! Today’s recipe is less of a recipe and more of a really fun, summery way to serve iced tea. 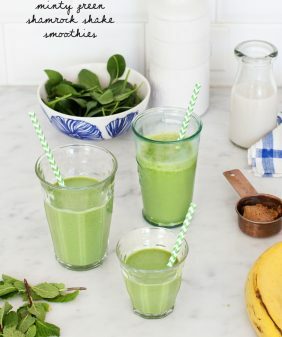 What you do is freeze herbs, fruits, citrus, and cucumbers (whatever you want, really) and serve it with yummy iced tea! I think this is such an easy and pretty party beverage. 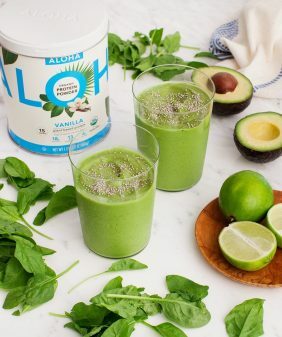 It’s something everyone can enjoy because it’s unsweetened, non-alcoholic, and super refreshing. We’ve partnered with Pure Leaf Home Brewed Teas on this post because we are very specific about our teas… and we love theirs. 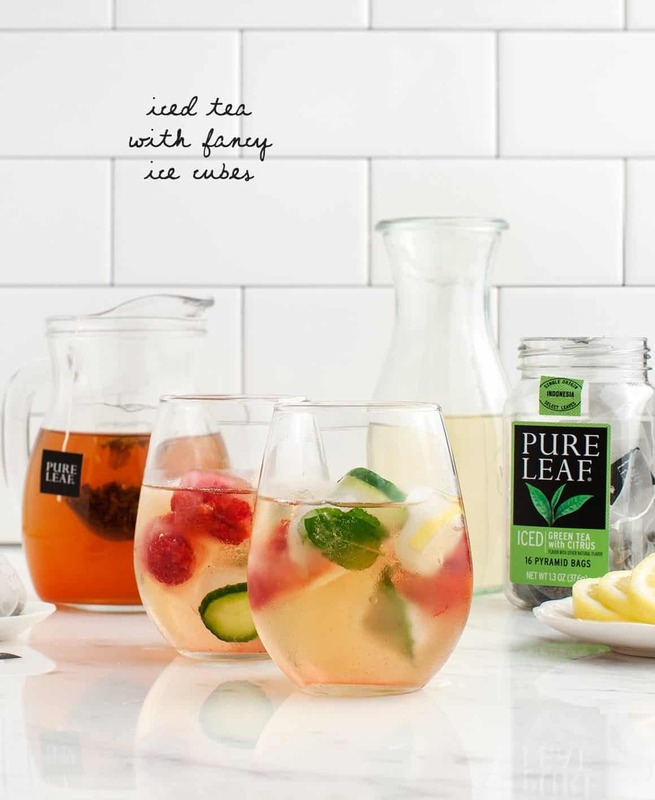 This fancy iced “recipe” is delicious with any of Pure Leaf’s new home brewed bagged iced teas. Here, I used Pure Leaf’s Iced Green Tea with Citrus Flavor and Iced Black Tea with Peach Flavor. Pure Leaf Home Brewed Iced Teas are specifically made to be consumed iced. They’re crafted with the highest quality whole tea leaves, real fruit pieces, petals, and herbs – the flavors are vibrant and perfect for summer. To make these, I used a square ice cube tray, but you could make these with any sized ice cube tray you like. I froze mint, basil, lemon pieces, cucumbers and raspberries in my ice cubes, but anything goes – I’d love to see what pretty combinations you come up with! 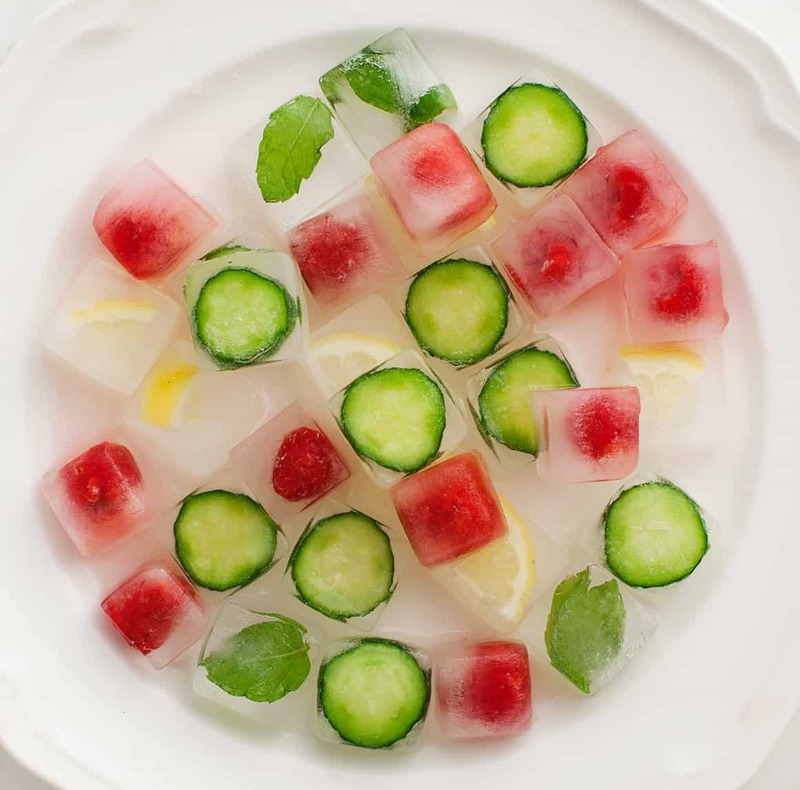 Place fruit/cucumber/herb pieces into an ice cube tray. Fill with filtered water (pre-boil your water if you want a more clear cube). Freeze overnight. Place 2 green tea bags in a medium glass pitcher. Place 2 black tea bags in a second medium pitcher. Pour 12 ounces of boiling water over the tea bags into each pitcher and let each steep for 3 minutes. Remove the tea bags and pour the brewed tea into glasses filled with the fancy ice cubes. This post was created in partnership with Pure Leaf Tea. And be sure to check out the new #PureLeafNYC Tea House in SoHo this summer to shop for your teas in person. Oh I love making fun ice cubes. Totally makes drinks feel all fancy. Which I love! Happy Friday! 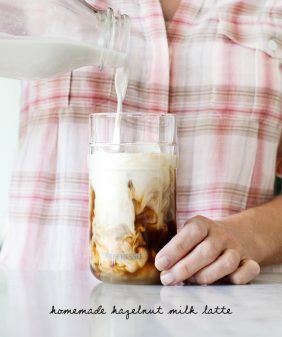 This sounds soooo refreshing. I love pure leaf! It’s fancy Friday! Yes, so loving these ice cubes. I need to try that with tea! What gorgeous pictures and I just love those ice cubes!! LOVE these cubes!! So fun and colorful!! 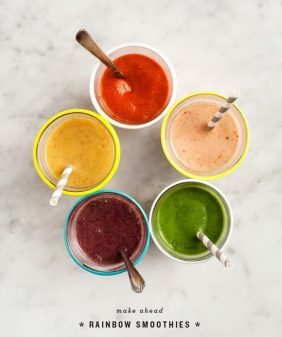 great idea, love the little frozen fruit and cucumber! 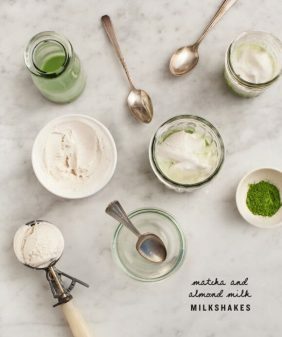 Nice twist on conventional tea serving too, love it and thank you!